At SimpleLTC, we work hard to stay on top of the latest industry news and changes, because — whether related to regulatory change, technology evolution, or senior healthcare — there’s always something new just beyond the horizon that will directly affect our customers. Because the only constant in our industry is change, we thought you might like to see our top sources of long-term care news (all of which are totally free), which could help you stay ahead of some of that change at your facility. 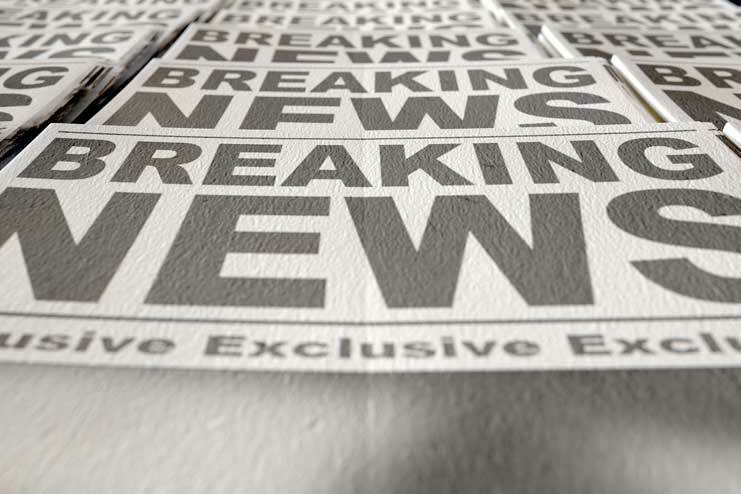 The powerhouse of industry news, McKnight’s reports on events that affect the way care is delivered across the entire LTC spectrum, ranging from assisted living to the skilled nursing setting. Their daily and weekly e-newsletters are handy for staying abreast of industry changes and their blogs feature opinions and insights on the LTC industry. If you’re looking for news that covers the gamut of resident care, business growth and industry forecasting, Long-Term Living has it all. They aim their content at owners, executives, administrators and directors of nursing across the full continuum of senior care. Their free e-newsletter subscriptions cover a variety of news, technology and leadership topics, and their blogs cover both news and opinion. LeadingAge serves the not-for-profit side of industry, with a membership of 6,000 organizations representing the entire field of aging services, including hundreds of businesses, consumer groups, foundations and research partners. They provide free access to all their publications, including newsletters, a monthly magazine and CEO opinion pieces. The American Health Care Association and National Center for Assisted Living (AHCA/NCAL) is the country’s largest association of long term and post-acute care providers, boasting more than 12,000 member facilities. While most of their publications are restricted to members only, you can read their LTC Leader blog and follow their social media channels for free. AHCA’s Provider Magazine also offers free online content, though it’s not as up-to-date as their blog because it’s tied to their print publication. Aimed at healthcare executives, Modern Healthcare reports on healthcare business and policy news, research and trends that help executives make key business decisions. The site features a broad array of healthcare topics, but you can narrow your search to just LTC topics (or subscribe to a LTC RSS newsfeed). This nonprofit news organization covers health policy issues and developments at the federal and state levels, plus trends in the delivery of healthcare and in the marketplace. Their content covers the healthcare industry at large, but for specific LTC topics, check out their sections on aging, Medicare and Medicaid. They offer free e-newsletters and their blog is updated regularly. MNT covers all areas of health and medicine, including rare diseases and conditions, across all areas of human health. The in-depth website holds over 240,000 individual articles with over 60 new articles added daily. For long-term care news, you can configure your free account to deliver daily and weekly news on specific LTC topics, like Seniors/Aging, Alzheimer’s/Dementia, Arthritis/Rheumatology, etc. The AARP Public Policy Institute’s LTC Team conducts research and policy analysis, and brings together thought leaders to develop and advance AARP’s agenda on LTC issues. Their long-term care page offers a blog covering diverse LTC topics as well as numerous research reports. Though aimed primarily at facility residents and their baby boomer children, this New York Times blog on aging also covers key information and trends about caregiving, senior housing, drug therapies and dementia. Aimed specifically at financial managers, HFN offers content on capital investments, reimbursements, quality and safety, physician relations, billing and collections, data integrity, etc. While not specifically a LTC publication, their content frequently relates to our industry. The Health section of the ABC News website features a section specifically for LTC news, including topics like financial planning, LTC insurance, regulatory change and end-of-life planning. Similar to ABC News, USA Today provides a central location for news on aging, with stories covering aging, memory, diet and financial planning for seniors. Of course this list is not exhaustive. If there’s a news source that’s vital to your organization, please let us know in the comments below! And if you’re looking for a quick summary of top industry news, you can check out our SimpleLTC’s Industry News page, where we regularly post news articles that are relevant to our customers.